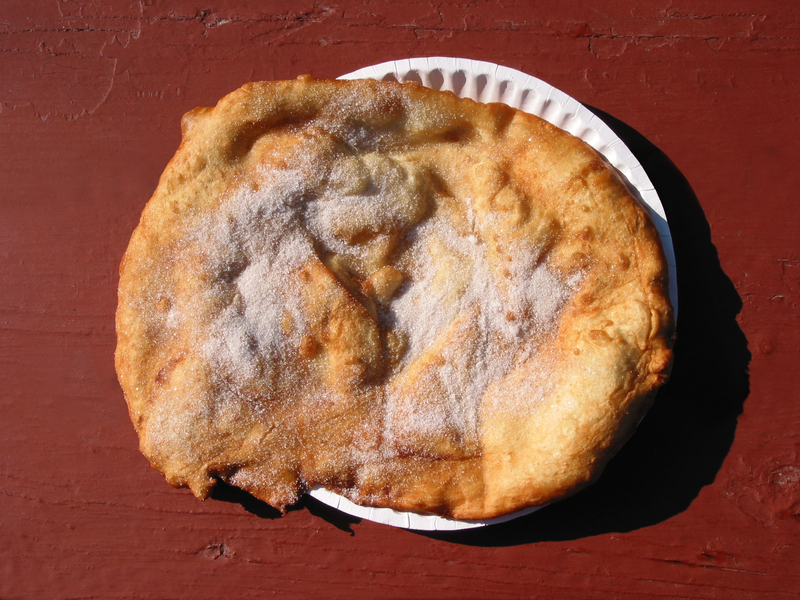 Fried dough is a North American food associated with outdoor food stands in carnivals, amusement parks, fairs, rodeos, and seaside resorts (though it can be made at home). 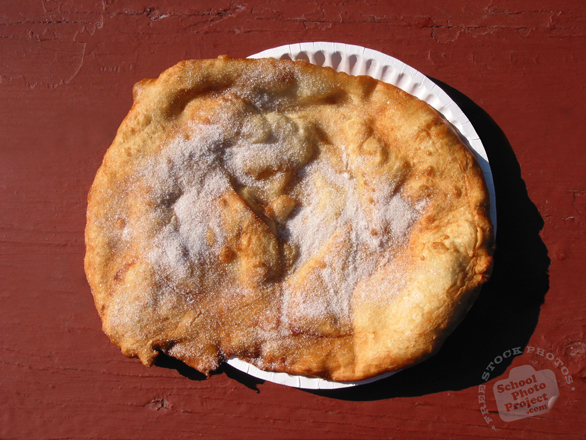 Fried dough is the specific name for a particular variety of fried bread made of a yeast dough; see the accompanying images for an example of use on carnival-booth signs. Fried dough is also known as fry dough, fry bread, fried bread, doughboys, elephant ears, whales tails, tiger ears, pizza frita, frying saucers, buñuelos in the case of smaller pieces. In New England, they're also known as either totteeters (smaller in size) or tottellers (which are comparatively larger in size). These foods are virtually identical to each other, and recognizably different from other fried dough foods such as doughnuts, beignets, or fritters.